Height matters – this 1950mm high chrome hinged 8 Series door gives you the feeling of space from within. The extended length chrome symmetry handle adds a designer touch to a beautifully uncomplicated door. The substantial feel of the 8mm toughened glass door along is complemented by the reassuring “clunk” close. With fully concealed fixings the 8 series range ensures that the inside looks as good as the outside while minimising cleaning. Mershield Stayclear Protected glass comes as standard within the Merlyn Series 8 range ensuring this door is “Easy clean”. 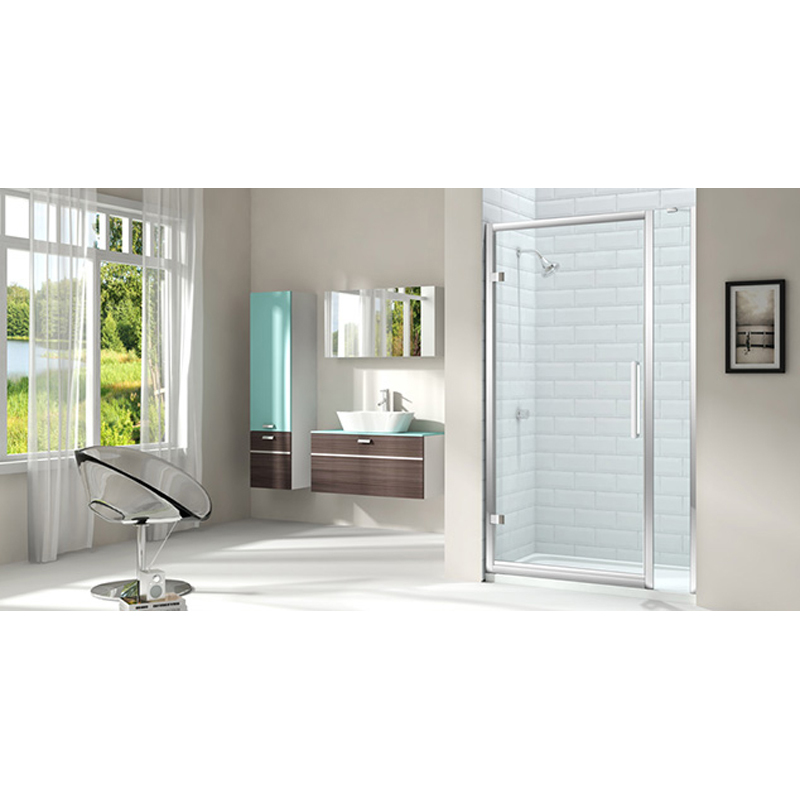 All Merlyn 8 Series shower enclosures have the Merlyn Lifetime Guarantee!